The curse of high expectations strikes again. Don’t get me wrong, D.O.A. is an excellent mystery that moves at a nice pace and has a great concept. But it’s been on my “must see” list since 1988, when the remake with Dennis Quaid and Meg Ryan came out, so maybe it was a foregone conclusion that I’d find it a little disappointing. The fact that it’s regularly cited as one of the all-time great film noirs probably didn’t help either. D.O.A. stars Edmond O’Brien as a big lug with a wandering eye who never took life or love too seriously until the day he was fatally poisoned. Suddenly, his purpose in life becomes crystal clear. He has to solve his own murder before he dies. The characters O’Brien plays, Frank Bigelow, is an accountant in the small town of Banning, California. He’s been carrying on an affair with his confidential secretary, Paula Gibson (Pamela Britton), but she seems much more serious about their future than he does. Bigelow tells her he’s pulling away from her because he doesn’t want to see her get hurt. When Bigelow suddenly has to travel up to San Francisco on business, she sees it as an opportunity for him to decide whether he’s serious about her or not. He sees it as a chance to paint the town red. Bigelow goes out for a wild night on the town with a bunch of soused guys and gals who are in town for Market Week. He winds up at The Fisherman, a jumping jazz club where Bigelow doesn’t fit in with the “jive-crazy” patrons. (Neither does the bartender, who admits to Bigelow that he doesn’t “get it.” He’s a Guy Lombardo fan.) At the bar, a mysterious figure drops something in Bigelow’s bourbon and fades away into the night. Sick to his stomach the next morning, Bigelow visits a doctor and finds out he has ingested a “luminous toxin,” a poison that attacks the organs. 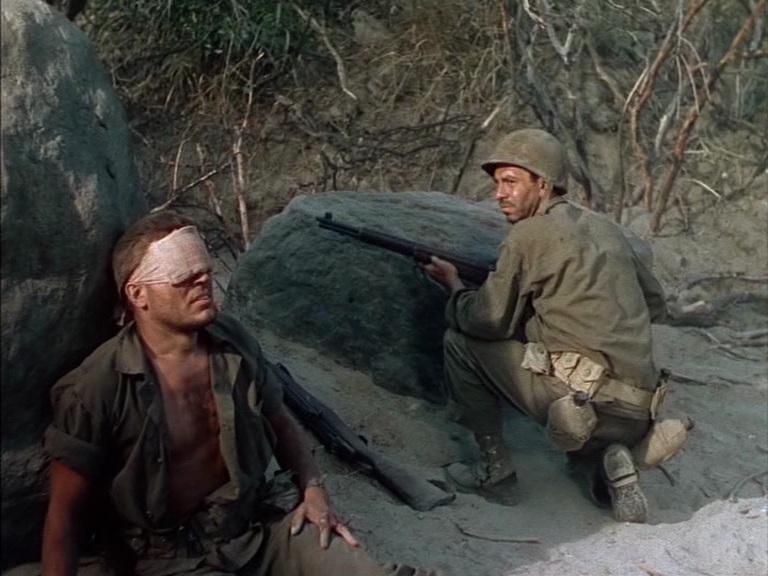 Bigelow only has a day or two to live … a week at the most. D.O.A. is a well-made and entertaining B movie, and has lots of great footage of both San Francisco and Los Angeles, but I just can’t rate it as highly as the film noirs I consider masterpieces, like Detour (1945) and Out of the Past (1947). With those movies, there’s a sense of existential dread below the surface. They work on more than one level, I find myself coming back to them over and over, and they haunt my imagination. I was expecting something similar with D.O.A., but O’Brien galumphs through the proceedings like a man with a hangover, angrily shaking down suspects and browbeating people for leads. After the poisoning, the film moves at a nice clip, but I never got the sense that Frank Bigelow was a man who was truly facing death. 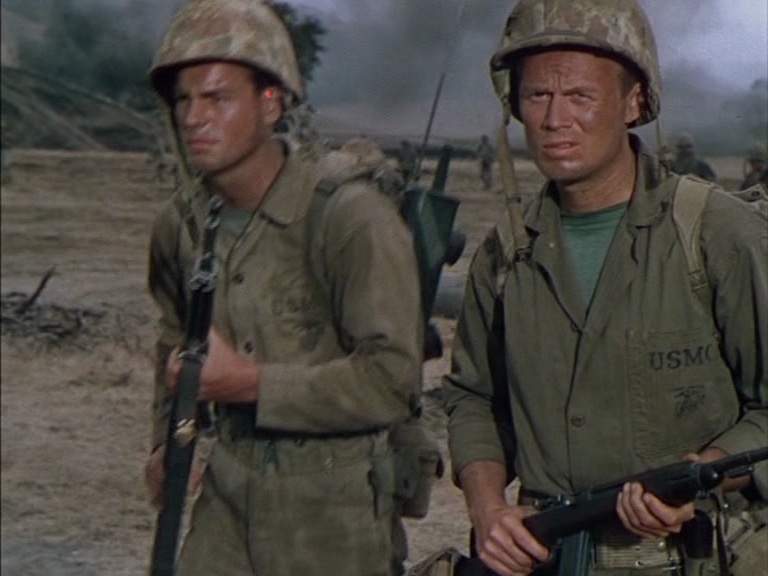 I also found the supporting characters mostly uninteresting, and Bigelow’s verbal exchanges with them were too often just information dumps. 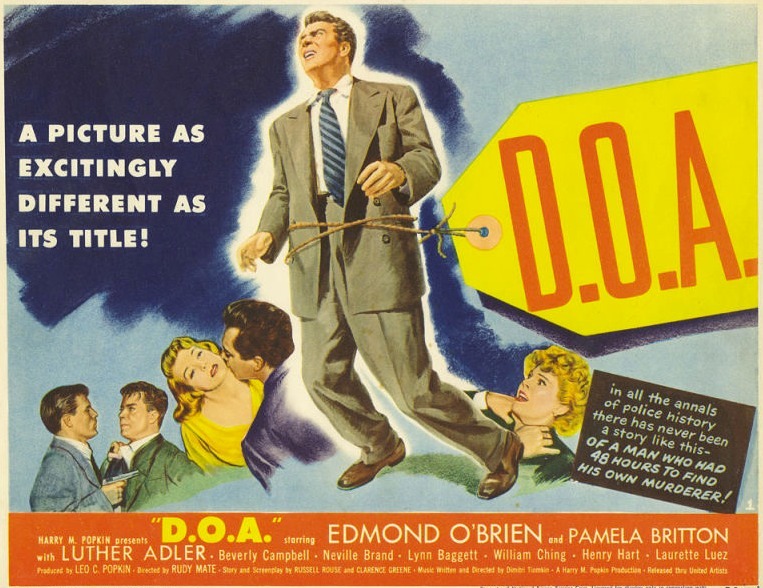 I watched D.O.A. twice, but I still can’t really keep any of the supporting characters straight. The only person who really stands out for me is Neville Brand as Chester, a sadistic henchman who refers to himself in the third person. 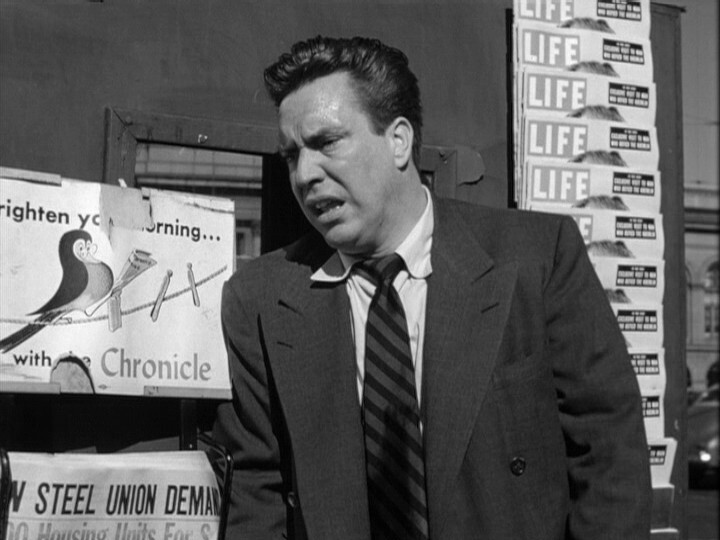 After I watched D.O.A., I thought back to another B noir that starred Edmond O’Brien, The Web (1947). D.O.A. 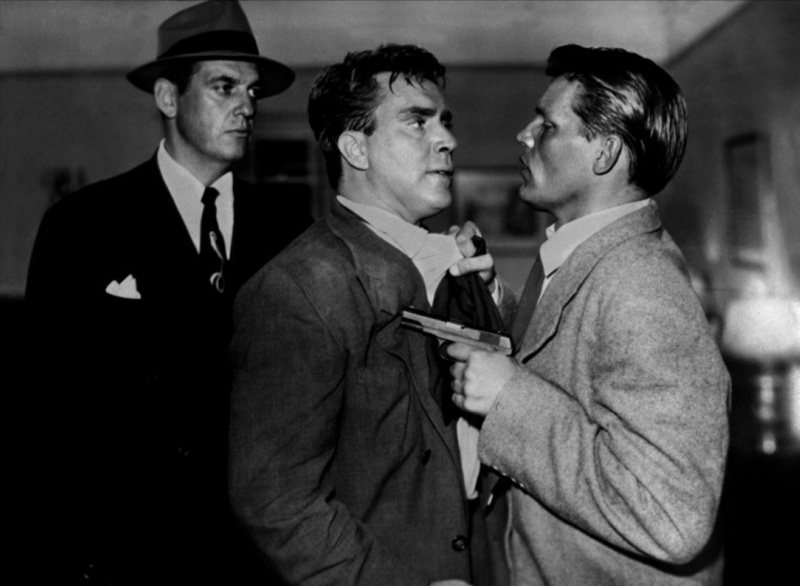 is considered an all-time classic, and every fan of film noirs has heard of it. The Web, on the other hand, seems mostly forgotten. But The Web has a better villain (Vincent Price), a much more interesting female lead (Ella Raines), and dialogue that is much more clever and entertaining than the dialogue in D.O.A. So why is D.O.A. so highly regarded, while The Web is a movie no one remembers? I really think it comes down to the fact that D.O.A. has a crackerjack concept. The beginning and end of the film are incredibly strong, but I just didn’t find the film as a whole to be all that it’s cracked up to be. 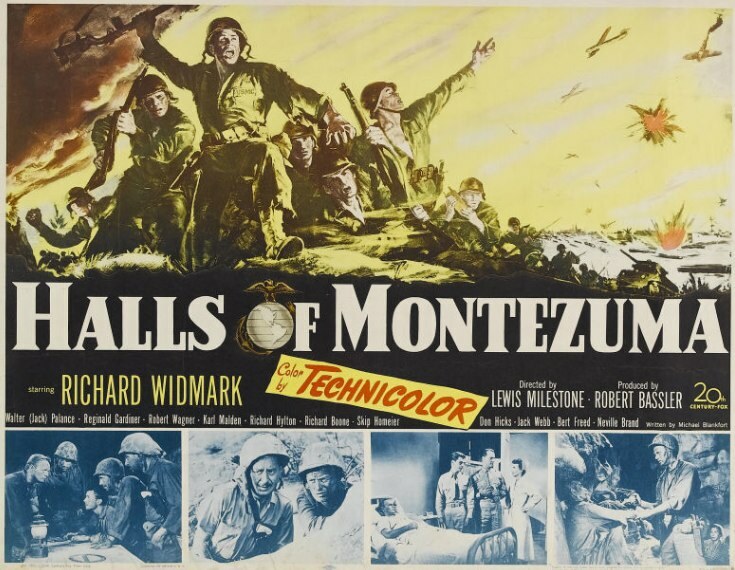 Posted in 1950, April 1950 and tagged Beverly Garland, Cardinal Pictures, Edmond O'Brien, Film Noir, Luther Adler, Neville Brand, Pamela Britton, Rudolph Maté, United Artists, William Ching. Bookmark the permalink.